Shell Motorsport puts Charles Leclerc to the test in an activity that tested power, precision and performance. To mark his first race with Scuderia Ferrari in Shanghai, Shell Motorsport put Charles Leclerc to the test in an activity that tested power, precision and performance like never before. 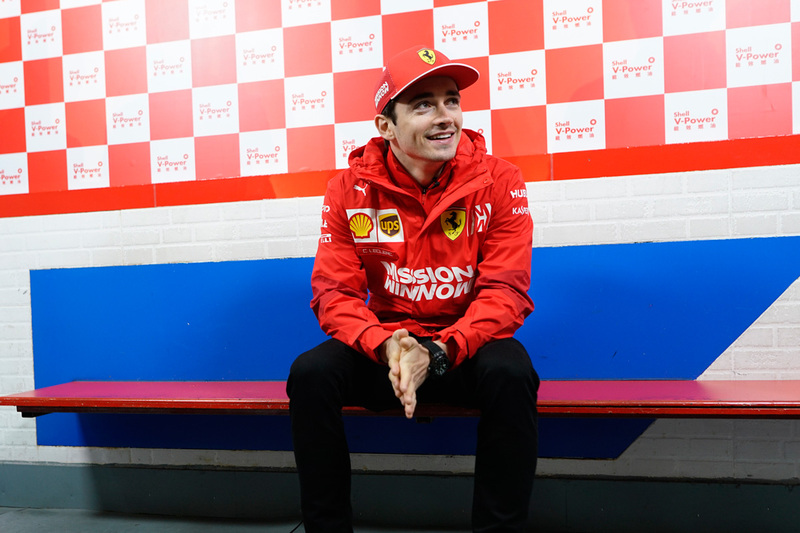 The “Shell Pursuit” saw Charles Leclerc demonstrate his driving prowess on ice, alongside Olympic and World Champion Speed Skater Tianyu Han, to see who could master the specially designed course. Both athletes showcased the essential skills needed for maximum performance in front of an audience of guests and fans. With 21% of Scuderia Ferrari 2018 Power Unit’s lap time improvement delivered by Shell V-Power and Shell Helix Ultra, the Shell Pursuit brings to life the benefits of Shell’s premium products and what they deliver to not only Scuderia Ferrari in Formula One but motorists around the world.